Hi! Thanks much for choosing USPEC! You’re now going to create your myUSPEC account. Once you have one, you can log into it and pre-register or register for CIBP™ or SIBP™ Credentials of the United States Private Equity Council . Please note that having an account on myUSPEC alone does not lead to automatic registrations or pre-registrations for any USPEC Credential, nor does it make you eligible for any of the USPEC schemes or privilege offers. Individuals will have to formally register/ pre-register for a USPEC Credential through their myUSPEC account. If you already have myUSPEC account. Please enter your name exactly as you want it to appear on your USPEC Certificate. Ideally, you should write your name exactly as it appears on your valid Passport or on any other unexpired government issued identity document that you usually carry on your person. myUSPEC is your fantastic hotline to United States Private Equity Council ! Manage your credentials anytime. It's your personal USPEC dashboard. 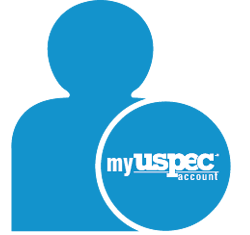 Create your myUSPEC account now to access a whole new world of customized USPEC experience! I, have applied for the USPEC application, and I understand that in order to accurately evaluate my candidacy & credentials for this certification, USPEC may be required to validate certain information furnished by me in my application and that, to be able to do so, USPEC may contact my past and present employer(s) and/or my colleague(s) and/or my past and present educator(s) and/or may ask me to furnish documents and relevant credentials corroborating the information presented in my application. I appreciate the importance of this process and agree to permit USPEC to conduct its validation exercise and co-operate with designated USPEC teams in the process by supplying documents and/or additional information as may be requested by USPEC. This is to hereby affirm that I, have furnished information which is correct and true to the best of my knowledge, and understanding and that, if required by USPEC, I shall be able to present documentary proofs of the same and that, I alone, shall be completely responsible for the consequences of my presenting in my application any information or data which is mis-representative or false or misleading or which cannot be satisfactorily and objectively substantiated by artifacts or documents, as demanded by USPEC. You have successfully created your myUSPEC account!